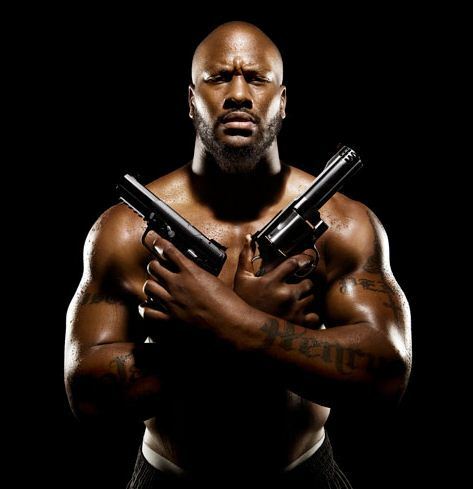 Pittsburgh Steelers linebacker James Harrison gave an interview to Men’s Journal in which he insulted NFL Commissioner Roger Goodell, calling him, among other things, a “crook” and a “devil”, Associated Press reports. Harrison, who was voted the AP Defensive Player od the Year in 2008, got a little too angry after being docked 100 K for the illegal hits he has performed during last season. So he decided on ripping the league in the interview for the August issue of Men’s Journal. Before knowing what he said, a simple look at the picture takes you exactly to the mood he wants to express. He practically declared war. And he picked on Goodell. “If that man was on fire and I had to piss to put him out, I wouldn’t do it” the football player said. “I hate him and will never respect him”. Other depictions of the target of his hatred included “stupid”, “dictator” and “puppet”. And don’t think he stopped there! Harrison told the magazine that if the Pittsburgh Steelers had defeated the Green Bay Packers in the Super Bowl, he would have gone so close to Goodell to have the chance of almost spitting in his ears “Why don’t you quit and do something else, like start your own league in flag football”during the trophy ceremony. Harrison directs his wrath towards other NFL execs, such as Rodney Harrison and Teddy Brushi, whom he calls “clowns”. He also says about Brian Cushing that he is “juiced out of his mind”. His criticism touched teammates as well. He blames Rashard Mendenhall and Ben Roethlisberger for the Super Bowl loss. Mendenhall reacts amazingly nice to Harrison’s comments, saying that “I know him”. However, he felt the need to put up a link on his Twitter page in which it is presented his stats from last season, which does not include a pattern of fumbling, as Harrison said. Art Rooney, the president of Steelers, says that he hasn’t yet read the article, nor talked to Harrison, but he “will discuss the situation at the appropriate time”. Beyond the abundant insults, Harrison also concentrates on more serious subjects linked to the safety of the players. He says that non-guaranteed contracts create a specific behavior in the game. Players concentrate to hit high because, as he explains, a torn knee ligament is more expensive to bear than a concussion. This way, many of his teammates and competitors end up with head trauma. The sollution he indicates is to shorten the season to only 14 games and to do workouts offseason as well.